We understand that everyone's requirement is different so provide a diverse range of products to fit all requirements that. From general Stationery items such as Paper , Pens & Notepads to customzied Files & Folders. Our Friendly account managers are here to find your ultimate stationery solution, listening to your specific requirement and serving you in an efficient manner. So Whether you need resources for an Arts& Crafts lesson, clipboards for survey's , a presentation case for architectural blueprints or simply a box of pens for the office, we're here to help. We help small and medium sized companies by providing them a single stop shop with a wide assortment of quality products at the lowest delivered prices. From paper to printer cartridge, stationery to cleaning, tea, coffee, pantry to business requirements on technology products, we have all of it. We operate from our Head office In Delhi and have Pan india clients and all necessary knowledge and sources to cater to any part of India and help companies to associate with us as a Single Point of source which can cater to all their office spread across the Indian Sub Continent. Quantity Per Pack 12 pcs. 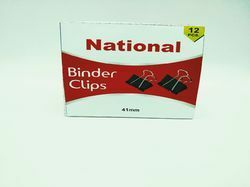 NATIONAL Binder Clips are the perfect way to keep a number of loose sheets together without actually stapling them. These binding clips have a dimension of 15 mm to 51mm. They are handy and an essential stationery item. You can use them in the office or at home. You can even get creative and use these binder clips to hang pictures from a string, to organise wires or as a makeshift portable card holder. 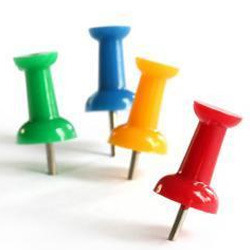 Apart from Binder Clips , other hassle free mode of clamping of papers can be done using National All Pins , T Pins or Plastic or Steel coated Gem Clips. 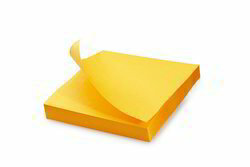 These Sticky Notes are made from good quality paper that will not tear easily. The paper features a fine finish and it will feel smooth on your hands. You can use it to put messages for someone, quotes, reminders, to-do lists, and much more. Put these sticky notes on your study table, cupboards, door, fridge, and in other places. It sticks without any difficulty. The notes are self adhesive and you just need to write a note and post it. Apart from the basic 3x3 Post-it Sticky Pads , we have sticky colored flags in paper & plastic which comes in options of 3 Colors & 5 Color Flags. Most elegant and economical first aid box available. Must for every residence, office or industrial establishment. Specially designed for extensive use In Hospitals , Nursing Homes & other Medical Establisgments. 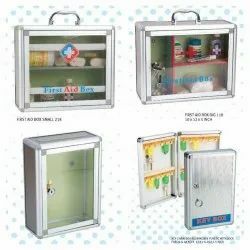 Ideal to keepy & store your emergy medical supplies in one Place. 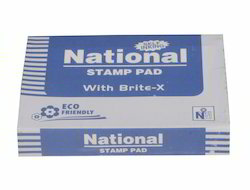 National Plastic Body Stamp Pad made with precision ink . the spread and size of Stamp Pad makes them easy to handle. They come with woven felt pads that help to spread the ink in proper direction. They come in different colors like violet, black, blue, red and green. They are economical and easy to use. The impressions made are bright and clear. We deploy the best ink that is non drip and dries fast. We are a well known Manufacturer, Supplier, Wholesaler and Trader & Importer of Scissors. Scissors Come in Various Sizes & Qualities from Standard to Superior Range depending on the Quality of Handle & Blade Used. We have wide range of multi function scissors for multiple usage & applications. 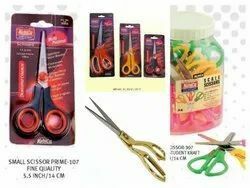 Our variety of scissors are ideal for Cutting,Scaling & peeling Etc. All of them have Non Slip Grip handles for easy use. National Rubber Bands are made from the best Latex to provide maximum STRETCHABILITY and STRENGTH at the same time. Rubber bands are able to grip many types of material tightly and securely, so they make good tools for a lot of practical applications. They serve a number of purposes in office. 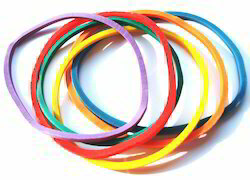 Rubber Bands are made of high quality elastic material that ensures it's durability and longevity. They do not tear easily, are ideal for everyday office use and are greatly popular for their reusability. These sturdy rubber bands can hold and bind huge piles of paper, currency notes effortlessly thus helping you work in a more organized manner. 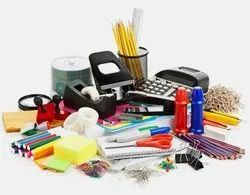 They are very useful in keeping a number of objects tied together that may include pencils, pens, index cards and other miscellaneous office supplies.